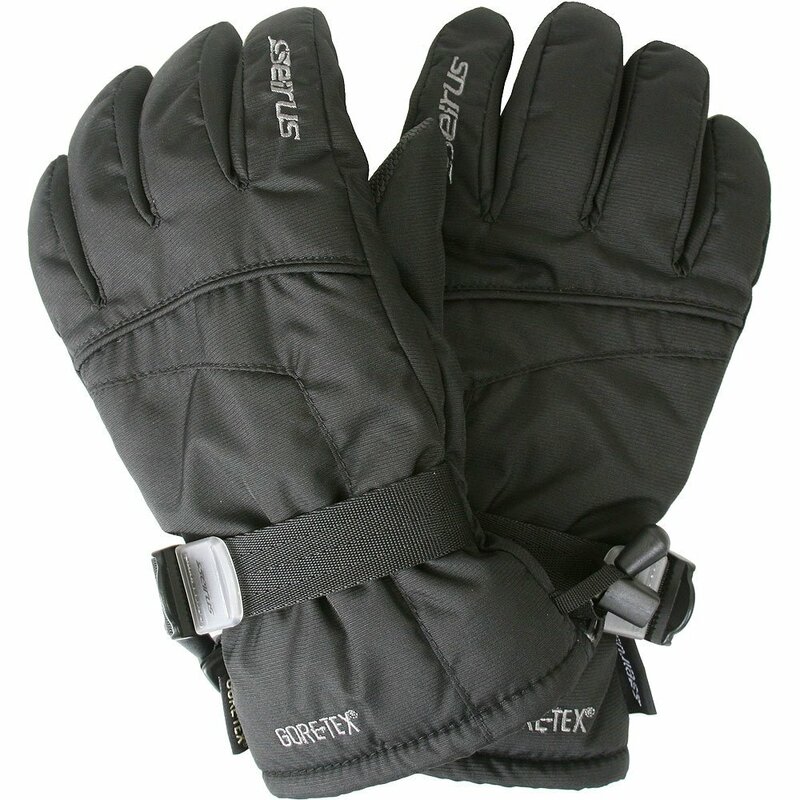 The Seirus Phantom GORE-TEX® Glove is a warm winter glove for everything from summit hikes to driveway shovel-outs. The insulation is a heavy 200g of Heatlock, and the Phantom is made with a GORE-TEX membrane to be a completely waterproof ski glove. Dig in the snow, scrape ice, or ski the chutes. The Phantom will keep you warm and dry the whole way. "How do you determine glove size? I am 5'9, 187 pound male." "You would need to measure to circumference of your knuckles. 8-9 inches around would be a size medium. Use that as a mid point to select your correct size!" "I need a pair of glove for my husband. We live in NJ and he'll be shoveling snow (we have a very big drive) and also cutting wood and doing some work outside while the temperature is below 0 degrees. I found these two pairs. However, you're more than welcome to add any other ones that you think will do the job better . I really need your opinion. Seirus Phantom GORE-TEX Glove (Unisex)Spyder Traverse GORE-TEX Glove (Men's). Thanks"
"Those are great choices! They are very similar and they both have a GORE-TEX fabric which will keep his hands dry. If I really needed to pick one I would get the Spyder because since he is going to be shoveling a grippy Rubbertec palm might make the difference." GORE-TEX is perfect for snow conditions. Purchased this product to provide adequate protection/warmth in cold, wet Northwest environment. Cannot validate waterproof/windproof capabilities as yet since purchase is very recent. However, adequate warmth verified in moderate conditions down to low 30 degree/mid-20 degree conditions.